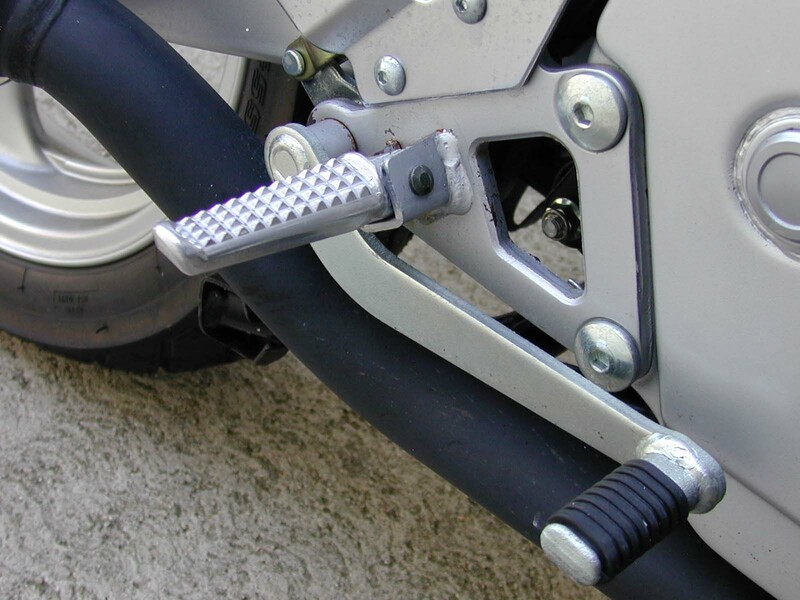 You can easily mount '96-'98 Honda CBR900 passenger pegs onto the GS500 front peg location. All you have to do is grind away some of the material on the back and bottom of where the peg mounts so that it can move freely in the stock GS bracket. There is no reason except for appearances to do this mod. The CBR peg is about 1/2" lower than stock peg due to it's lower overall height compared to the GS; the bottom ends up at the same place as stock.